We at Abine just introduced Blur, the world’s first all-in-one tool for managing and securing one’s information on the web. Blur generates and saves passwords, stores billing information, and quickly creates “masked” email addresses and credit cards. Plus, we’ve made sure it’s easy to use, so you can browse (and shop!) securely with minimal hassle. If you’re planning to make an online purchase this holiday season – and more than half of people are, according to the National Retail Federation industry group – Blur can help keep your personal information secure. It’s the ideal shopping assistant! Let’s walk through the process of using Blur to shop online at Amazon.com. These steps apply at other e-commerce sites, too. Just make sure you install the Blur extension in your web browser before getting started. Already have an Amazon account? 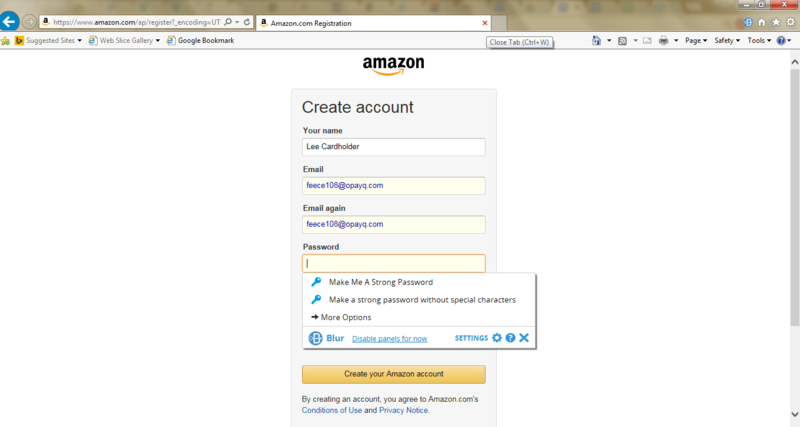 You can make it even more secure with Blur – scroll to the “Updating an Existing Amazon Account” section below. If you’re creating a new account from scratch, read on. 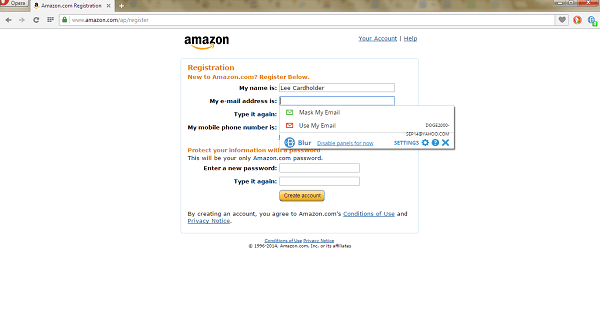 Amazon, like most websites, requires you to sign up with an email address and set a password. If you’re like many people (many non-Blur users, that is), you reuse the same email-and-password combo across multiple sites. But what happens if one of those sites gets hacked? Your accounts on EVERY site where you’d used that information could be at risk. Fortunately, Blur is here to help. You can generate a masked email address with Blur to keep your real email hidden. And you can use Blur to create a strong, hard-to-crack password. Select “Mask My Email” and a random – but very real – email address will be generated. Any messages sent to this address will forward to your real email address (the one you used to create your Blur account). To manage your masked emails in the future, visit the Blur Dashboard and navigate to Masking > Masked Emails. Once you’ve set a masked email address, it’s time to generate a password. Clicking the site’s new-password form field should bring up another Blur pop-up – select either “Make Me A Strong Password” option and a new password will automatically be filled in. Blur will save this password automatically – you can see it later in the Blur Dashboard, under Accounts. Want to update an existing account with a masked email and hard-to-guess password? Good move. Simply navigate to Amazon’s account management page – clicking the form fields under the “Change E-mail” and “Change Password” sections should bring up a Blur pop-up, as described above. Alternatively, you can visit the Blur Dashboard to create a new masked email address and random password. 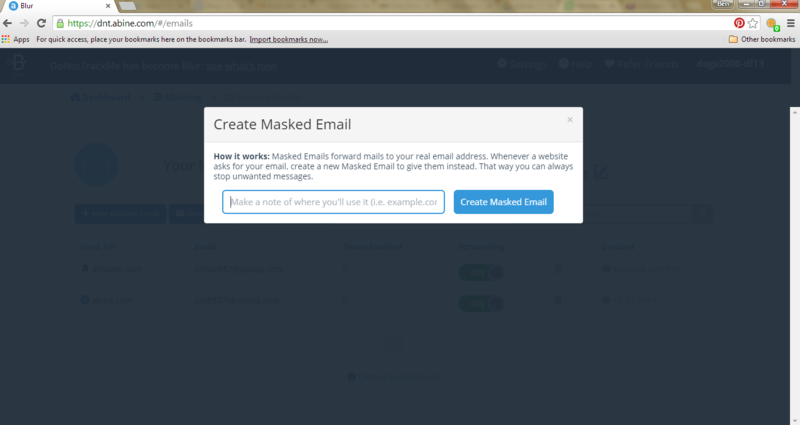 Go to Dashboard > Masking > Masked Emails and click the “New Masked Email” button to make a new email address. Then copy-and-paste it into your Amazon account’s “Change E-mail” section. 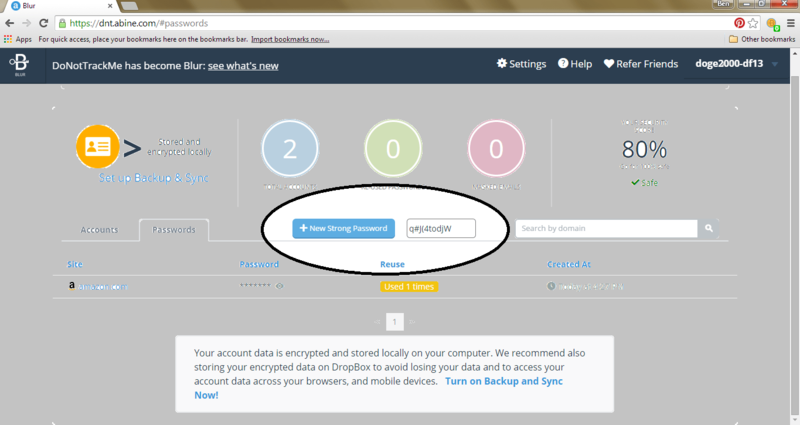 To create a new password, go to Dashboard > Accounts and click the Passwords tab, then click the “New Strong Password” button. Again, copy-and-paste into your Amazon account. Keep your eyes peeled for Part II in this series: paying for Amazon purchases with a Masked Card. Photo courtesy of thekellyscope via photopin cc. 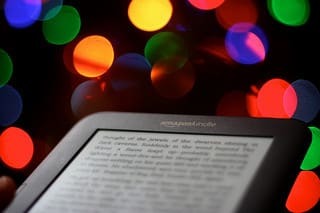 Can I use Blur with a Kindle Fire HDX? Hi Jeffry – unfortunately you cannot. Fire tablets run a highly customized version of Android, and our app won’t work. If you have a normal Android tablet (Nexus 7, Galaxy Tab, etc. ), the Blur app will work fine.